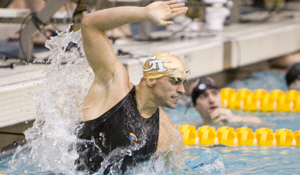 Georgia Tech junior Gal Nevo swims the breastroke leg on his way to winning the 200 individual medley in an ACC conference record 1:43.34. 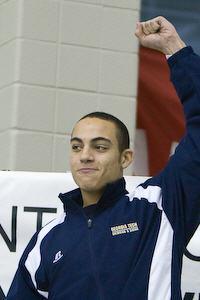 Georgia Tech freshman Nigel Plummer claims gold in the 50 freestyle in 19.54. 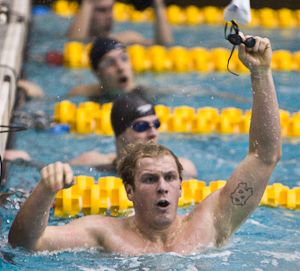 Georgia Tech anchor Garrett Robberson checks the clock to confirm his team smashed the previous ACC 200 freestyle relay record in victory with a 1:17.84. He was joined on the relay with Mauricio Sousa, Nigel Plummer and Noah Copeland. Georgia Tech junior Gal Nevo on the opening leg of his second individual medley gold of the ACC Conference Meet winning the 400 IM in an ACC record 3:39.33. 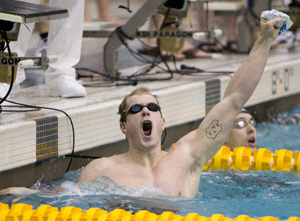 Tommy Wyher of the University of North Carolina celebrates a new ACC Conference 100 butterfly record in edging out Florida State's Jarryd Botha by 2/100 of a second in a winning time of 46.21. 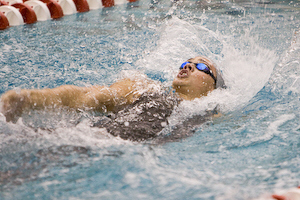 Georgia Tech senior Mickey Malul celebrates victory in the 100 breaststroke in 52.86. 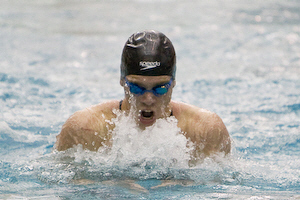 UNC sophmore Tommy Wyher claims his second individual victory of the night with a 46.41 ACC record in the 100 backstroke. 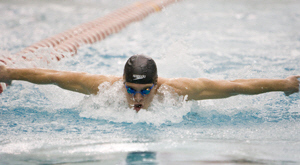 Earlier he won the 100 Butterfly. 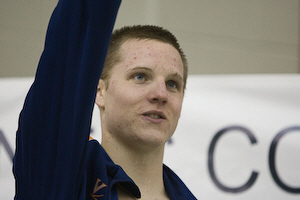 UVA sophmore Matt McLean claimed his third individual victory and ACC record in winning the 1,650 freestyle in 14:35.12. 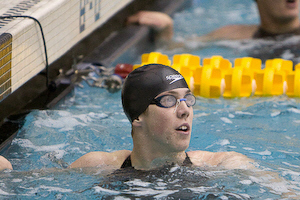 McLean was named the Most Valuable Swimmer of the ACC meet for the second year in a row. 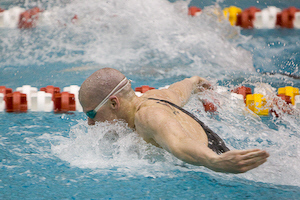 Andy Hodgson of Florida State swims to an ACC record 1:41.14 in the 200 backstroke. 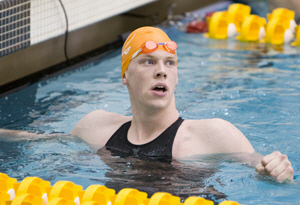 University of Virginia's Scot Robison captured the 100 freestyle in 43.14. 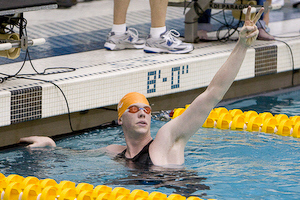 University of Virginia senior Ryan Hurley won the 200 breaststroke in 1:55.14. 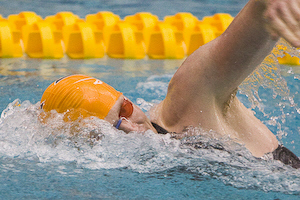 UVA's Pat Reams swims to victory in the 200 butterfly in 1:43.82. 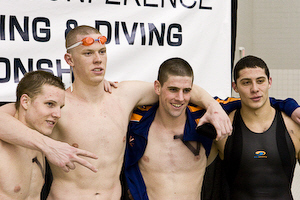 The University of Virginia team of Scott Robison, Matt Mclean, Peter Geissinger and John Azar demolished the previous 400 freestyle relay ACC record by more than three seconds with a 2:51.50.